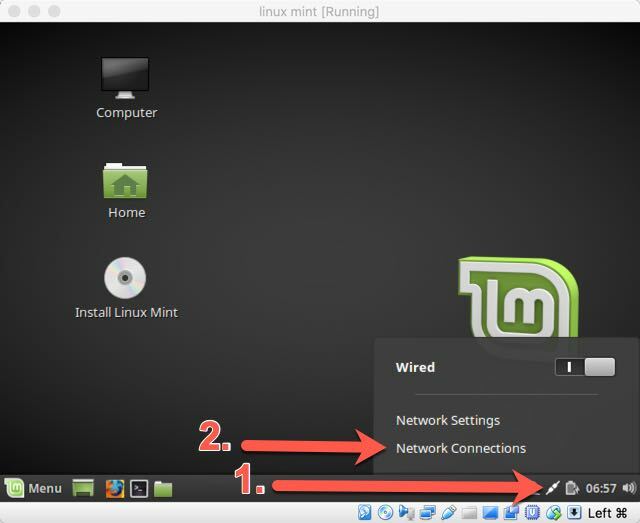 1.Navigate to the home screen and click on the Network icon in the bottom right of the screen as shown below. 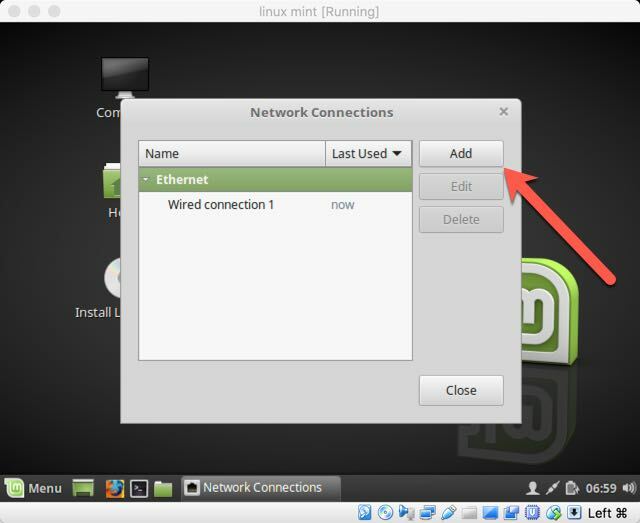 A menu showing a Network Connections option will appear. 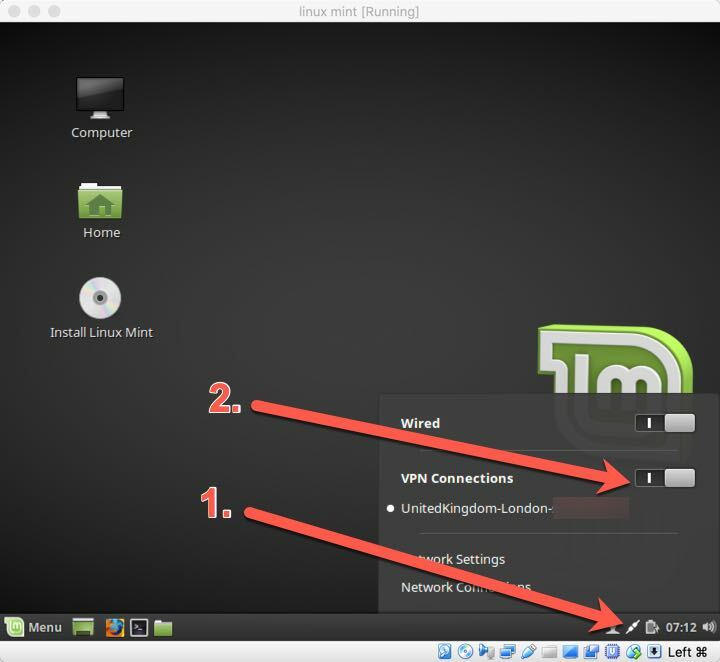 Click on the Network Connections option. 4. 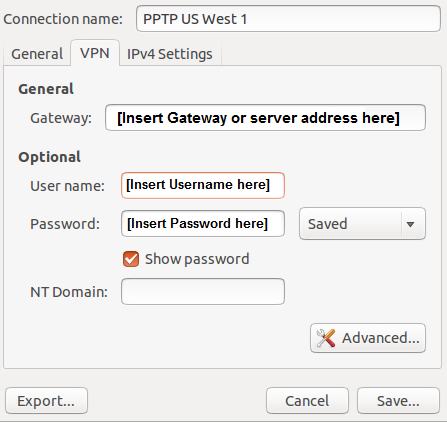 The Choose a Connection Type window will pop-up, click on the drop-down menu and select Point-to-Point Tunnelling Protocol (PPTP) tab and click Create button. 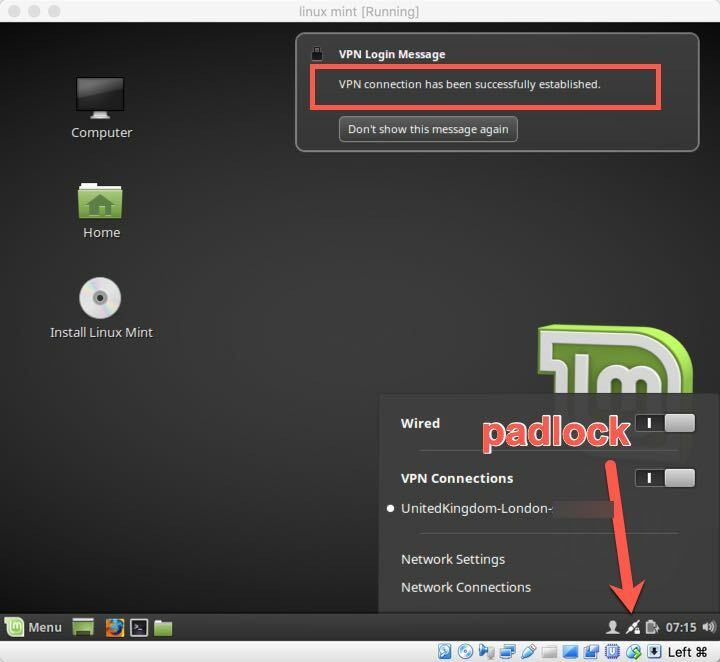 Enter the User name and Password as provided in your welcome email settings. Or in the Customer Panel. 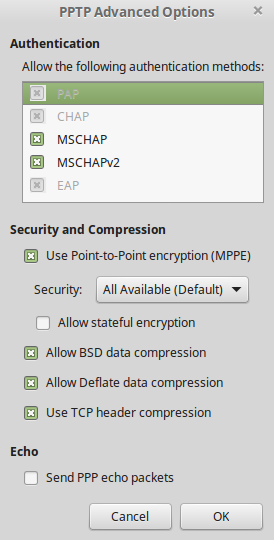 Click OK and then click on Save. 6. 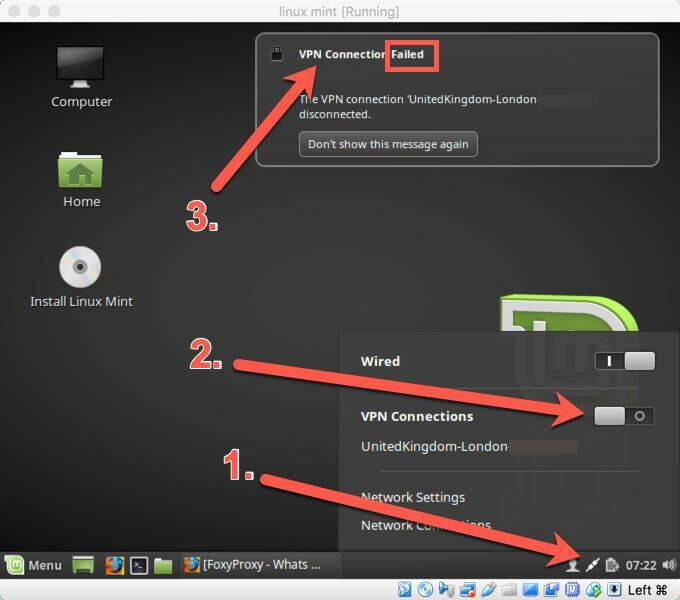 Now start the VPN connection by clicking on the Network Manager icon again, and under VPN Connections you should see the connection that you have just created. 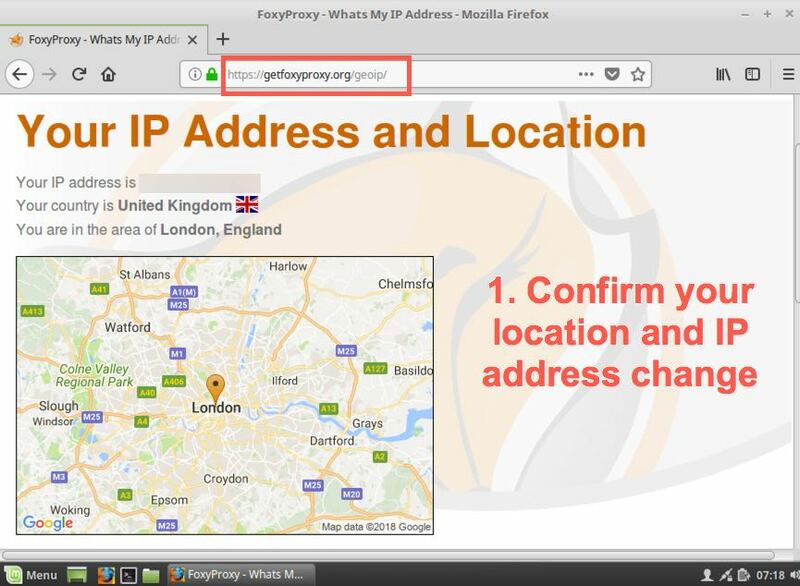 Click on it or just click on the VPN Connection slider to connect.